However, talking to Jira Administrators at Summit made us realize that we’ve neglected a big part of the problem. You don’t just need a way to limit the addition of new custom fields, you need a way to deal with the ones you already have. So we’ll be focusing our upcoming content on how to deal with custom field bloat. Once again, we’ll be teaming up with author and Jira super-user, Rachel Wright. 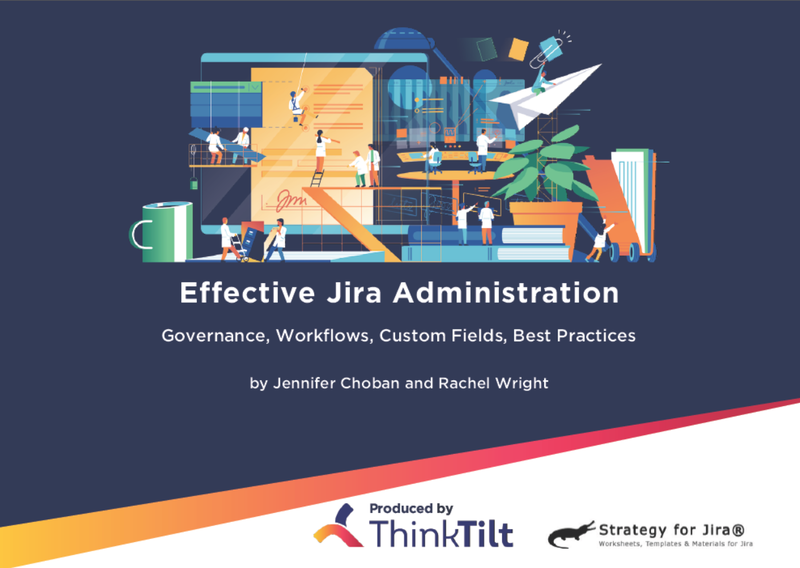 Rachel worked with us on a previous series of articles, which is now available as the Effective Jira Administration book. We’re looking forward to tapping into her expertise on managing Jira custom fields. For those of you using Jira Cloud, we’ll also discuss strategies for how to manage custom fields (and Jira administration in general) now that any user can create independent projects. (If this makes you nervous, you’re not alone.) We’ll focus on communication strategies and ways to educate users about best practices in Jira, with the aim of being “open”, without opening up a huge can of worms for Jira administrators. The 64 page "Effective Jira Administration" book is available in digital and Kindle format.